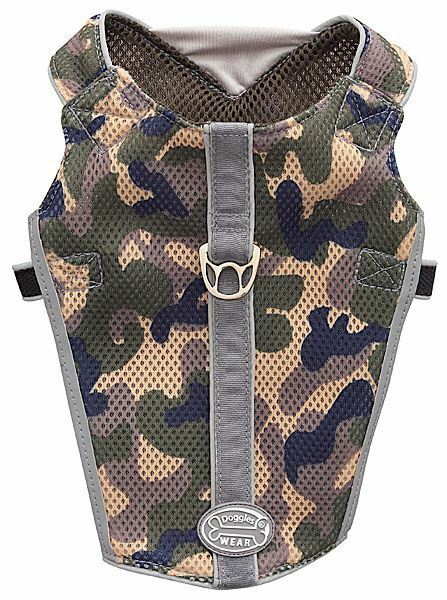 This Green Camo Dog Harness by Doggles is made of breathable mesh style material. 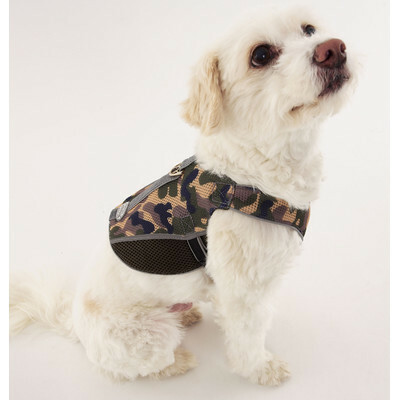 For extra safety, the Green Camo Dog Harness is accented with reflective trim all around for added safety. 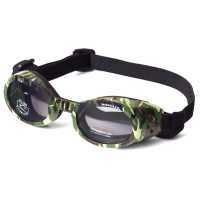 The harness is adjustable with an ergonomic fit to allow for maximum mobility. 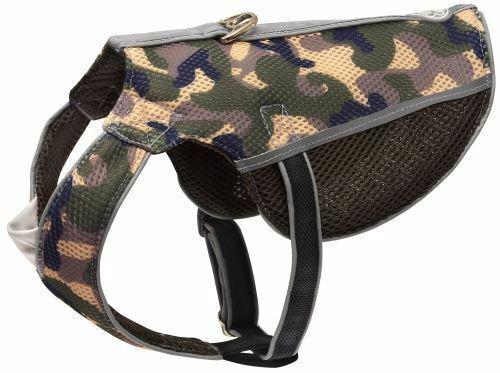 The harness has over head styling with a long back for more coverage and is outfitted with high end Duraflex brand hardware for extra durability.